The second half of September at Quelccaya is typically characterized by increasing snowfall, as the dry season concludes. Cloudiness increases rapidly at this time of year, as evidenced and measured by sharply increasing longwave radiation receipt. Air temperature continues a steady increase into November. These aspects of Quelccaya climate are illustrated by the 2 images below, acquired by Senitinel-2 only 5 days apart. 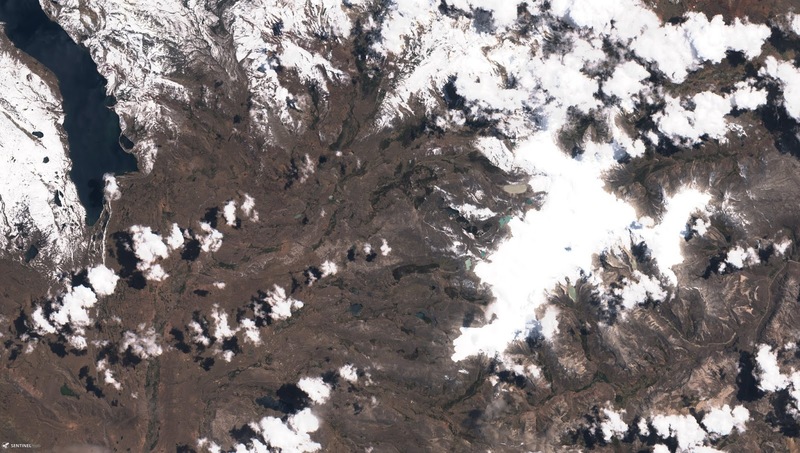 On 27 September (upper image), fresh snow is evident at higher elevations of the Vilcanota, particularly on glaciers and eastern portions of this scene. 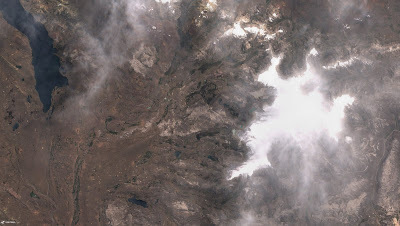 By 2 October (through high thin clouds), fresh snow had ablated from the landscape (middle image). 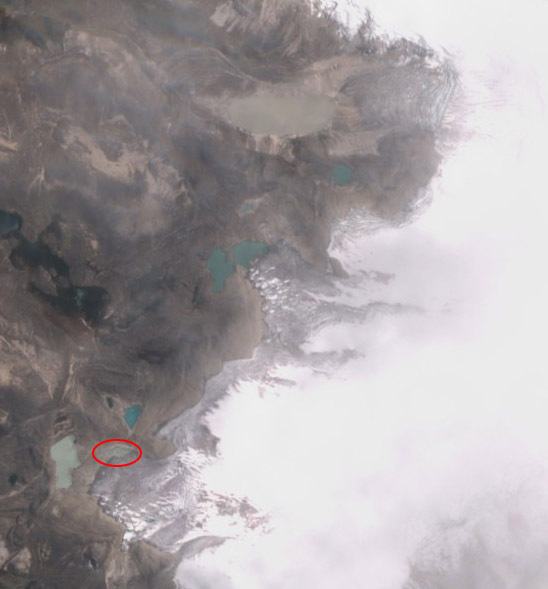 Lower elevations of Quelccaya Ice Cap also become snow-free, revealing the transient snowline (also see lower image). Further evidence of this seasonal change in climate is provided by the lower image - an enlargement of yesterday's image - showing the apparent disappearance of ice cover from a marginal lake (circled). In July this ice was thick enough to support a person walking across the lake.